NEW YORK - Black Fashion Designers examines the impact made by designers of African descent on the world of fashion. Drawing exclusively from The Museum at FIT’s permanent collection, the exhibition features approximately 75 fashion objects that illustrate the individual styles of more than 60 designers, placing them within a wider fashion context. 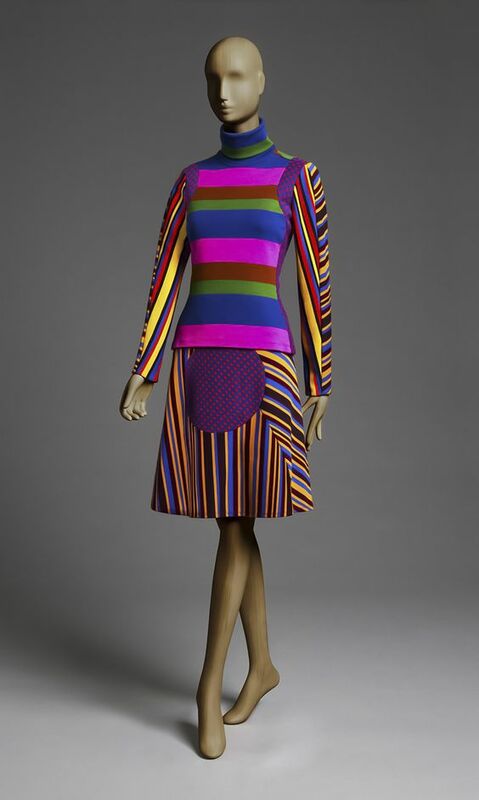 Objects date from the 1950s to the present, including mid-century evening gowns by Anne Lowe and the jovial, yet controversial, work of Patrick Kelly from the 1980s. 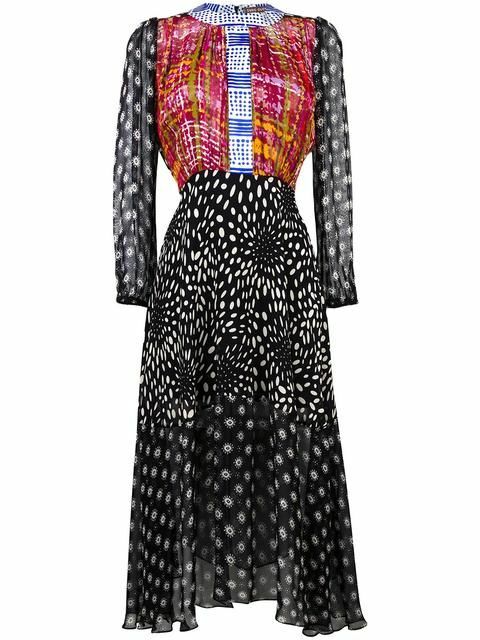 Contemporary pieces include Lagos-based designer Maki Oh’s spring 2013 dress, which reconceptualizes Nigerian traditions, and pieces from the latest runways of established designers, such as Tracy Reese, and emerging talents, such as Charles Harrison. 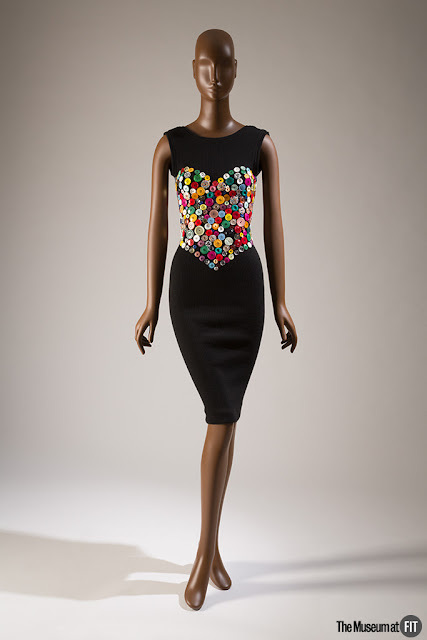 The exhibition addresses the influence of black fashion models as well, by highlighting milestone events, such as “The Ebony Fashion Fair.” Black Fashion Designers is meant to enliven the conversation about historic and ongoing issues of diversity within the fashion industry. 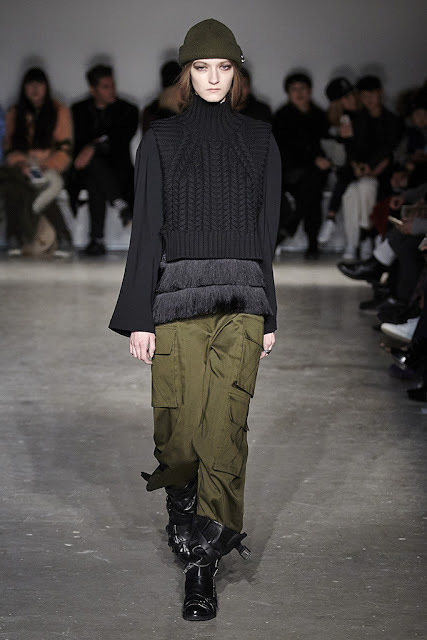 It honors the creative talents of designers who are often overlooked and provides a fresh, holistic view of the fashion industry, emphasizing the significant roles in culture and society played by black designers. The designers featured in Black Fashion Designers work in a diverse range of individual styles; they do not all speak in one voice. 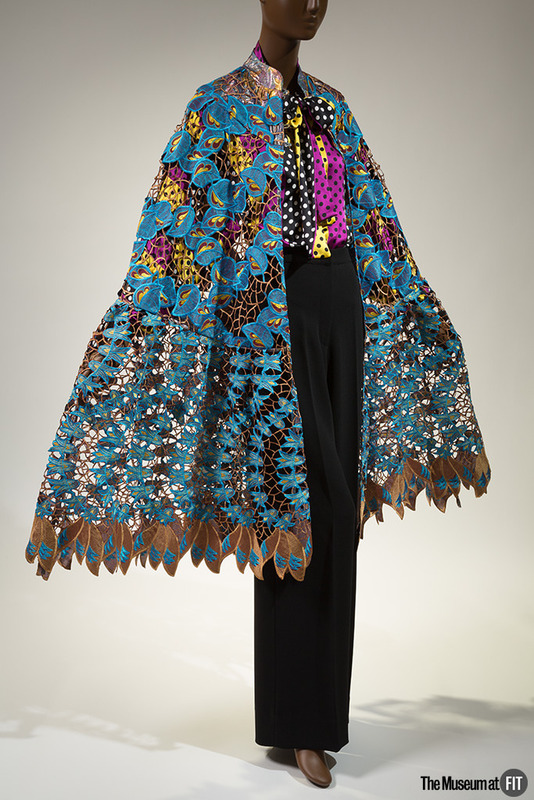 The exhibition draws exclusively from the permanent collection of The Museum at FIT and is organized according to categories and themes, such as eveningwear, menswear, street style, experimental fashion, and African influences. Black designers take inspiration from many sources, but may not necessarily address race in their work. Eric Gaskins, who trained under couturier Hubert de Givenchy, creates eveningwear in the tradition of the French haute couture. His white gown is intricately beaded to mimic the brush strokes seen in Franz Kline’s paintings. The father-son duo at Casely-Hayford incorporate elements of anarchy into traditional British fine tailoring to create a modern menswear aesthetic. 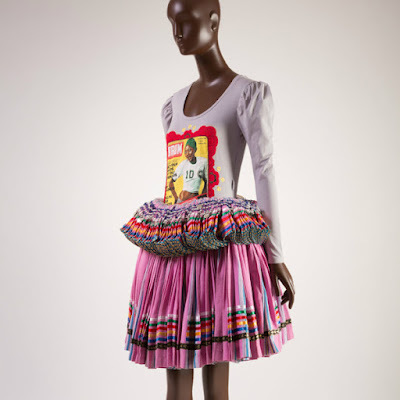 A section of the exhibition devoted to activism comprises fashions that send political and social messages. For example, a cover image of the anti-apartheid magazine Drum adorns an ensemble by South African designer Nkhensani Nkosi of Stoned Cherrie, and a Kerby Jean-Raymond ensemble inspired by Ota Benga, a nineteenth-century African who was caged at the Monkey House in the Bronx Zoo, expresses Jean-Raymond’s frustration at being labeled and pigeon-holed, as not only a black designer, but also a black person. 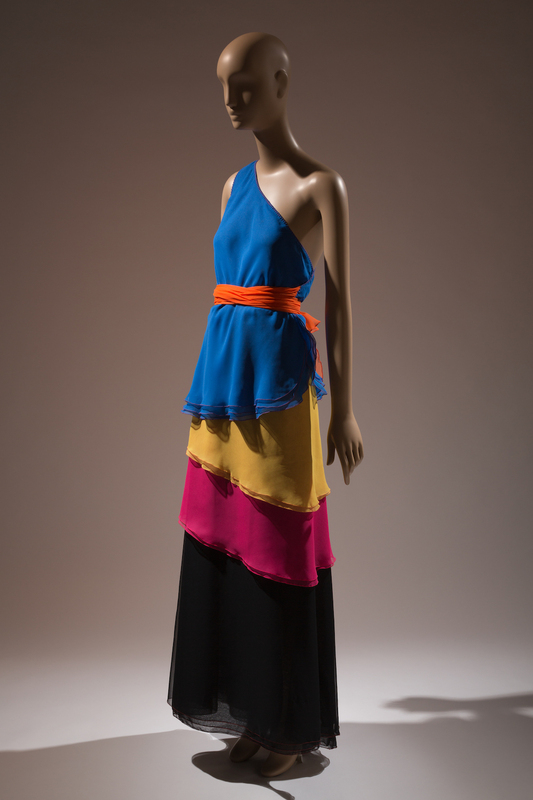 Black Fashion Designers is organized by Ariele Elia, assistant curator of Costume and Textiles, and Elizabeth Way, curatorial assistant, The Museum at FIT. The curators were supported by an advisory committee of scholars and fashion professionals, some of whom are participating in the exhibition’s symposium, audio tour, and Fashion Culture program series. The Museum at FIT will host a one-day symposium on February 6, 2017, featuring talks by designers, models, journalists, and scholars on African diasporic culture and fashion. A provisional list of speakers for the symposium and Spring 2017 Fashion Culture program series includes writer Teri Agins, stylist June Ambrose, journalist and photographer Dario Calmese, Professor Alphonso McClendon, designers Carly Cushnie and Michelle Ochs of Cushnie et Ochs, Dapper Dan of Harlem, designer Grace Wales Bonner, former model and founder of The Diversity Coalition Bethann Hardison, Professor Monica Miller, designer Mimi Plange, Professor Eric Darnell Pritchard, Professor Elena Romero, Professor Victoria Rovine, costume designer Jeriana San Juan, and model Veronica Webb. Black Fashion Designers is made possible by the support of the Couture Council and the President’s Diversity Council.